Laredo, Texas – The Webb County Heritage Foundation will host the first of three evenings of “Movies on the Patio” on Friday, October 5th at the Villa Antigua® Border Heritage Museum, 810 Zaragoza St. at 7:30 p.m. 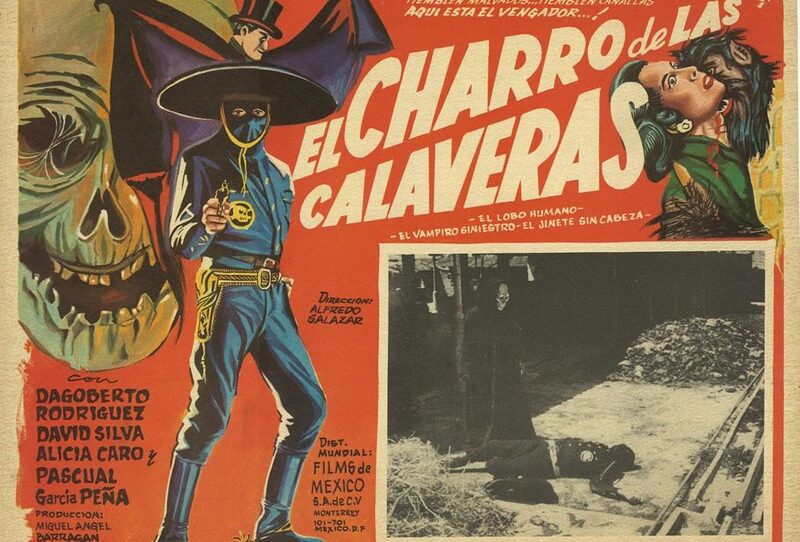 This week’s presentation will be “El Charro de las Calaveras”(1965) featuring Dagoberto Rodriguez, David Silva, and Pascual Garcia Peña. The films will be presented outdoors on the patio of the Border Heritage Museum. Admission is free and open to the public. Seating is provided. Costumes are always encouraged and audience participation during the screenings is welcome. Limited table seating will be available along with yummy movie snacks from the “Bordertown Bistro” concession area. New this year is the participation of folk art vendors from Hecho a Mano. The following Friday, October 12th will feature “It’s Alive” (1974), followed by “The Tingler” (1959) on Friday, October 19th. Come enjoy a spooky movie evening under the stars in historic, downtown (haunted) Laredo. In case of rain, the event will be cancelled.